The summer months have been a bit up and down in the K9 Trail Time household. 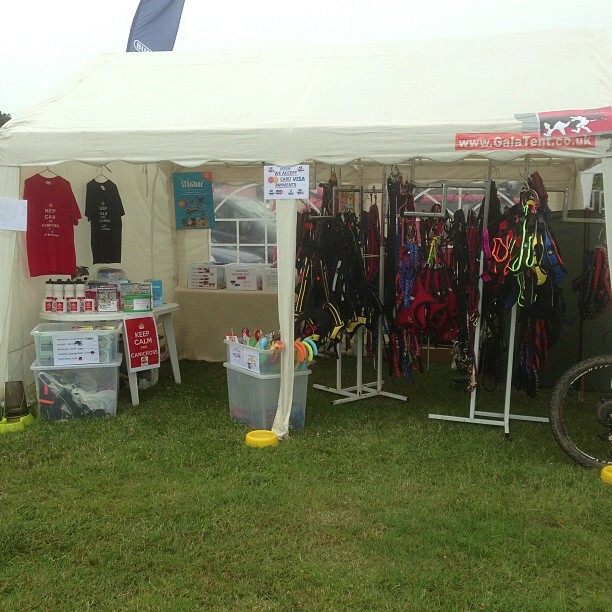 The events we’ve attended have been awesome, we’ve met some fantastic people and have (hopefully) encouraged a number of new people to look into the sports of canicross, bikejor and scootering. The weather however has left us trailing in the fitness stakes, with the temperatures in the 30s and the humidity being constantly at 70% and above, we have struggled to get out training. Now don’t get me wrong, I enjoy the warm weather and the long days filled with sunshine. But I don’t enjoy the sticky evenings with no respite from the warmth and dogs who can’t even go for a walk without suffering the discomfort of being too hot. Training was impossible for at least 2 whole weeks in July and has been limited to very early mornings throughout June, July and August. 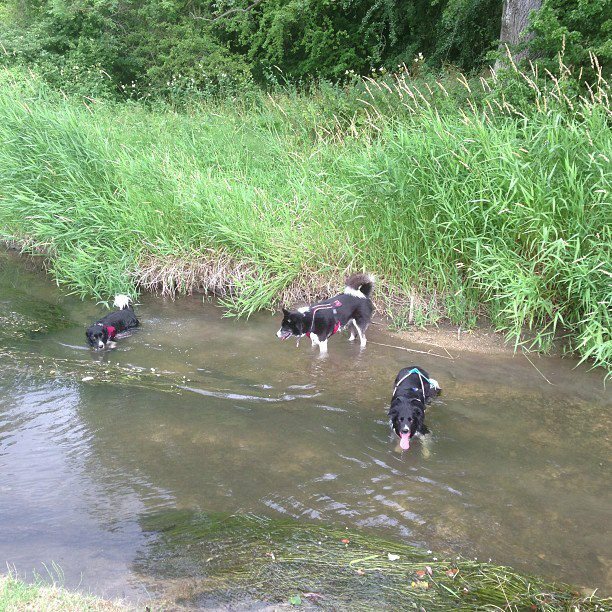 I complained like crazy last year when all we had was rain but I actually got far more pleasure from being able to bike, scoot and run in the mud than I have from trying to find a way to manage the dogs’ exercise in the excessive heat. So with this warm weather I seemed to have lost my running mojo and throughout June and July I struggled to even get out for half an hour at a time, this wasn’t helped by a grass seed which caused one of my running companions to be out of action for nearly 6 weeks. I got into a bit of a rut and I wondered how I was going to find the motivation to get out and get running again when the temperatures cooled down. The answer came through the events I have been attending where I had the K9 Trail Time stand. 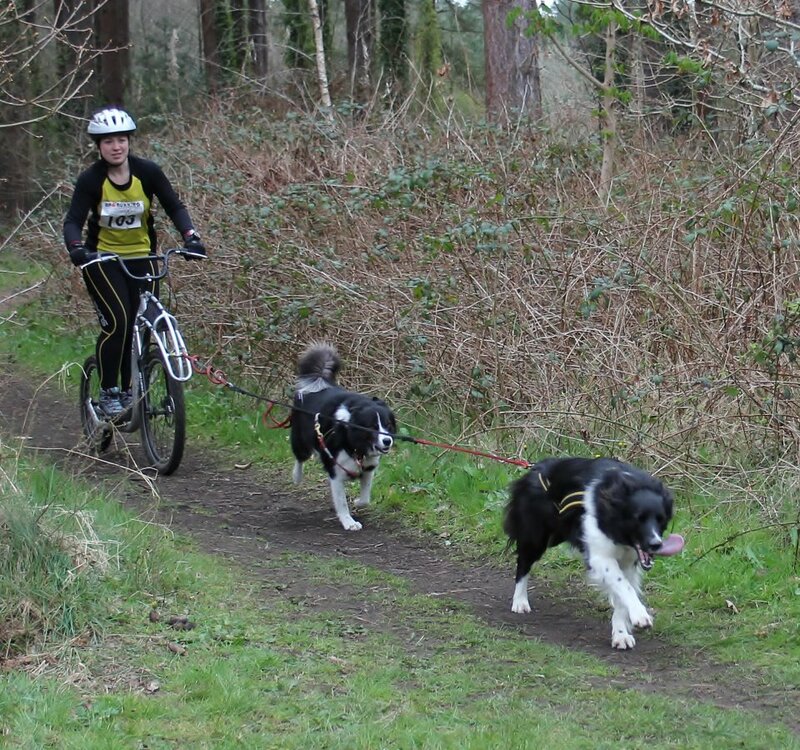 As I was chatting to people about canicross, bikejor and scootering, the thing that I recommended most often to people looking for inspiration to start, was to find people in the local area who already train in the disciplines and join them. I realised that because of the temperatures and the time of day I was having to go out, I had been training totally on my own for nearly two months. What I needed to do was get back out in a group and this was what I did. By getting in touch with the local (and not so local) groups of canicrossers who were still going out training and by making the effort to get the dogs out with them, I started to feel more positive again about my own fitness. On more than one occasion I have had to walk my dogs, rather than run, due to the warmth but the effect of meeting up again with like minded people has inspired me in so many ways, it has been well worth the effort. 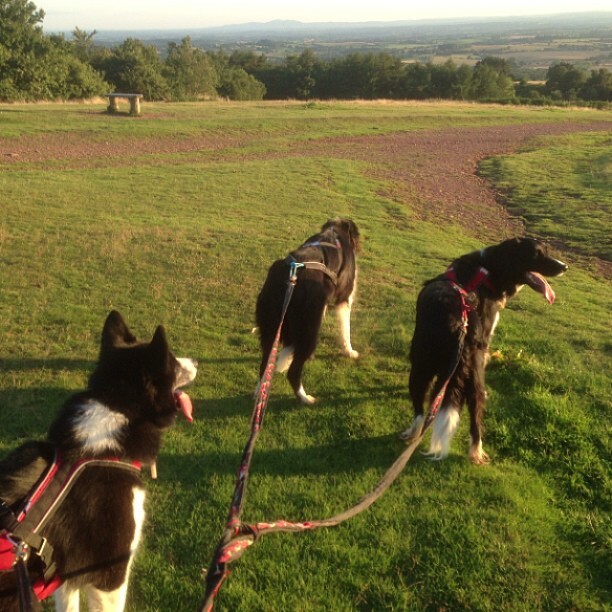 I have even set up a website for my local area group runs http://www.cotswoldcanicross.co.uk which has made me think again about new routes and ways to encourage new people into the sports. 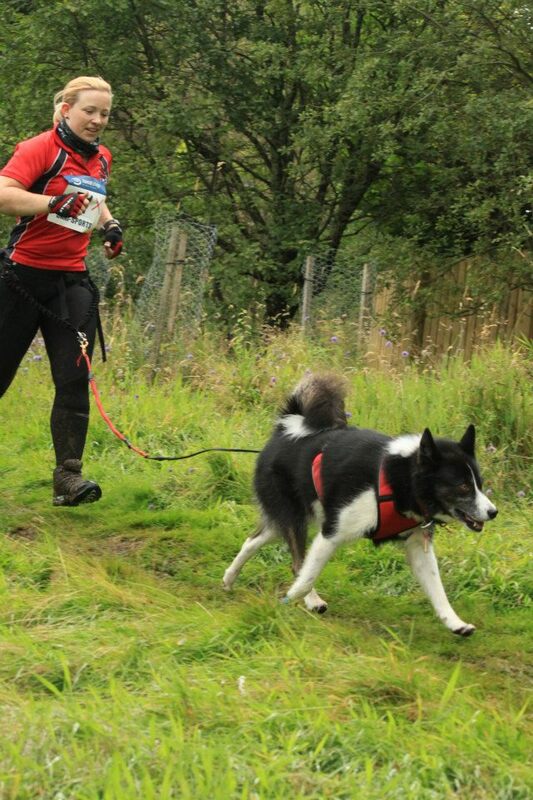 So my advice to anyone who has lost their motivation to run with their dog/s over the summer months, is to get back out there and find some canicrossers in your local area who can help give you that boost back into training that you need. 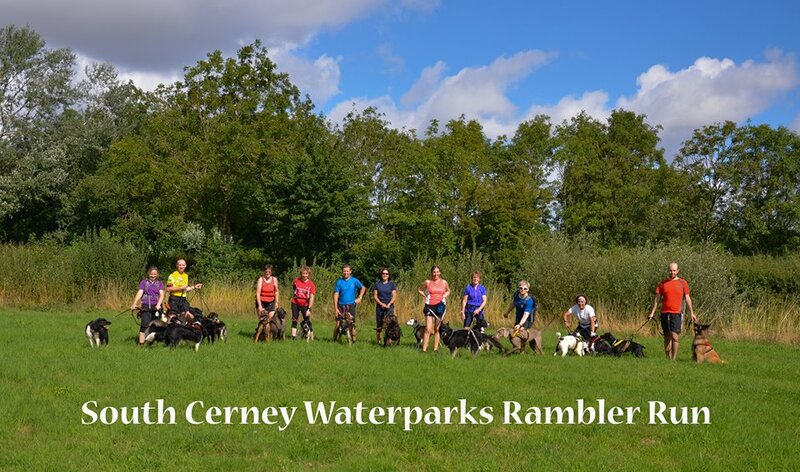 If there isn’t a group of people locally who arrange canicross runs, why not ask your local running club if you can bring your dog on their runs, or even better, set up your own group for people to come and join you on your canicross runs. It certainly brought my running mojo back and has paved the way for an autumn of fun activity with my dogs and my canicrossing friends. 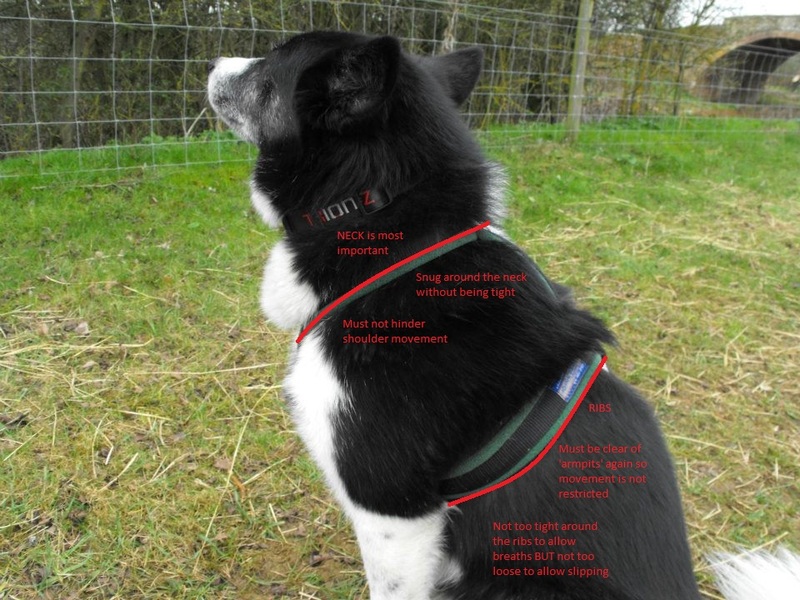 Following a recent meeting with members of the Canine Massage Guild (http://www.k9-massageguild.co.uk/) where we spent a whole morning critically evaluating a wide range of harnesses, I thought I would write another short blog on harness fit, as it really is crucial to be looking a number things when evaluating if the harness you have is right for your dog. The harness must not be too loose around the neck and this is really important because if it is too loose, then it can start to restrict the shoulder movement if the material covers any part of the shoulder. One of the best ways to test this (a tip I picked up from the therapists) is to extend your dogs’ leg gently all the way forward and all the way back when in the harness and if the material of the harness in any way blocks the movement, then you know you have to find another harness for your dog. Likewise, if the ribs straps cut in too close behind the front legs, then they can also have a restrictive effect on your dogs’ movement. I advise people to watch their dog free running and study how they run, then watch them pulling in harness and note any changes. It is helpful to ask a friend to take pictures of your dog whilst doing this, as you can then see for yourself in pictures how freely your dog is moving. Things to look for to indicate restricted movement range from the obvious ie. not wanting to pull and being hesitant, to very subtle for example a slight shortening of stride, which can only really be captured and observed properly in pictures or film. Also keep in mind that when weight pulling, your dog may move slightly differently anyway and it is the restriction of the movement you are looking for not just a difference in movement. 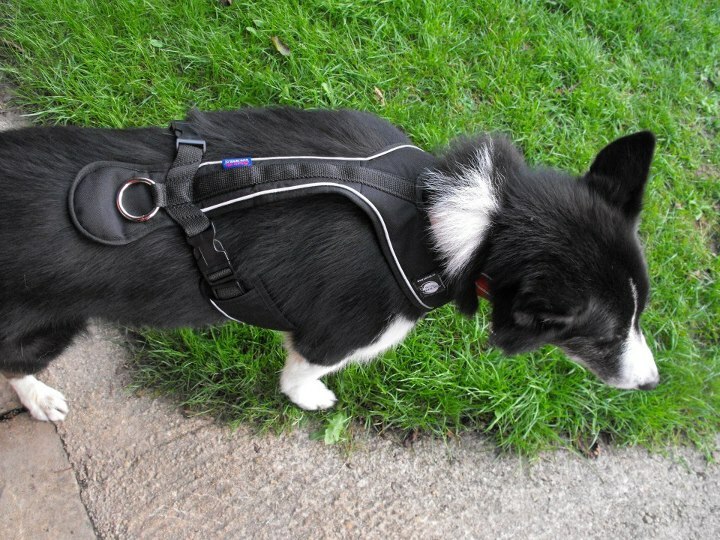 If you are sure the harness isn’t restricting breathing or movement, then you have few other things to consider – the length of the harness (to ensure no pressure is being put on the dogs’ hips or back) and also that any plastic clips or metal rings are not digging into your dog which could cause any sore spots. A harness related injury the canine massage therapists have seen, particularly in smaller dogs, is that heavy brass clips on a bungee line or lead, when used with a shoulder harnesses with no padding underneath the attachment ring, have sometimes caused a problem if the line becomes slack and the clip is bouncing on the dogs’ back repeatedly. It may sound obvious when pointed out but many people fail to notice little things like this which can cause pain and prevent a dog enjoying their runs. The length of the attachment point on the harness should not go beyond the base of the tail and with a long harness (X-back, Zero DC Euro Long, Non-Stop Freemotion and Nome harnesses) you need to make sure the harness does not put any pressure on the dogs’ hips. 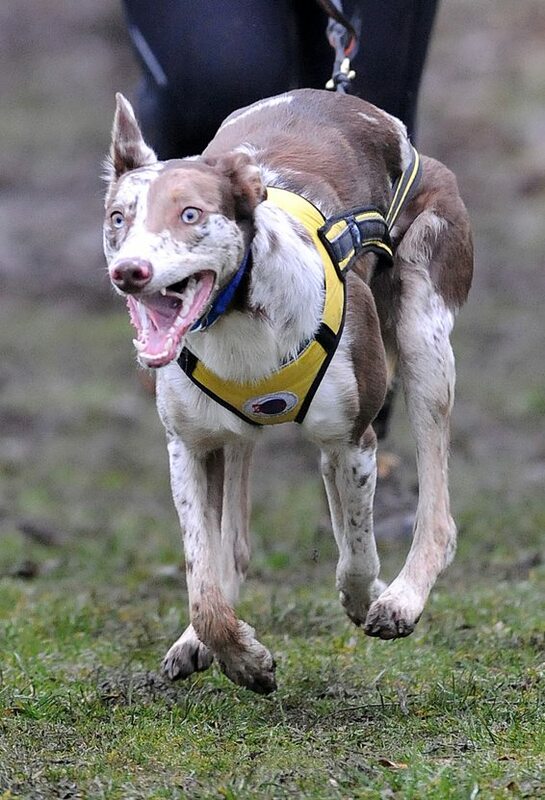 With the X-back and Nome harness it is better they are used with low points of attachment or long lines, as they have been designed to work properly this way and so may not be suitable for all dogs for canicross. As long as there is no downwards pressure on the hips, nor upwards pressure on the ribs or stomach and the dog can run comfortably, then your longer harness should be fine. When critically evaluating any harness look for any negative reaction in your dog, for example if they flinch when a certain part of the harness touches their back or side. If there is any reaction, then you need to look closer at what may be causing the discomfort. I’ve found that observation is the key to knowledge in getting the right harness and a great deal of trial and error!